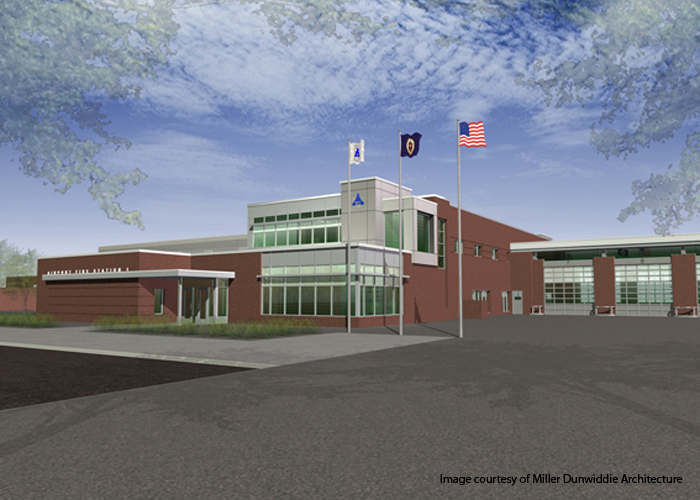 This 56,000 square foot, state-of-the-art fire station is a partial two-story structural steel-framed building with precast concrete plank floor and roof decks. Long span steel trusses were used to create the column-free vehicle storage bays. 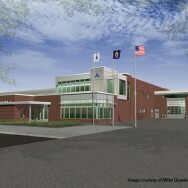 Other spaces include living quarters for the firefighters, training facilities, and administrative offices.